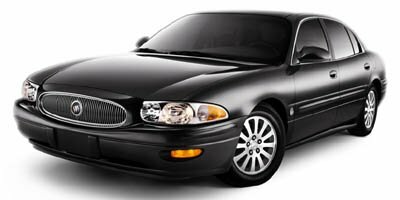 EPA Estimatedi Based on LeSabre 2005 EPA mileage ratings. Use for comparison purposes only. Your mileage will vary depending on how you drive and maintain your vehicle. Located at Baglier Buick GMC. Need more Photos? Maybe an HD Video Walkaround? Just Ask.. We will be happy to provide them for you.. WE ARE DEALING!!! WE LOVE TRADES!!! EMAIL OR CALL US NOW!! FINANCING AVAILABLE!!! We include a Baglier Buyers Program on every vehicle purchased. FREE Lifetime State Inspections - with the purchase of a New or Pre-Owned Vehicle! FREE Multi-Point Vehicle Inspection with any Service Visit! FREE Oil Change with the purchase of any New Vehicle! FREE Loaner Car Program for any Service needs! FREE Car Wash with any service or body shop visit. Good with the Purchase of any New or Pre-Owned Vehicle.